Thanks to Shirley Morozuk for this great picture. See also the Morozuk family page. Can anyone identify some of these enthusiastic students? I found the picture. It was in my Quinn book under the St. Mary's chapter (go figure). Guess those Leahy's are your cousins, right Mike? roots you,have given us another glimpse into the past. I received the following email from Annona Cahill Lawther. that is!!). I'll ask Helen Landrigan when she gets back. 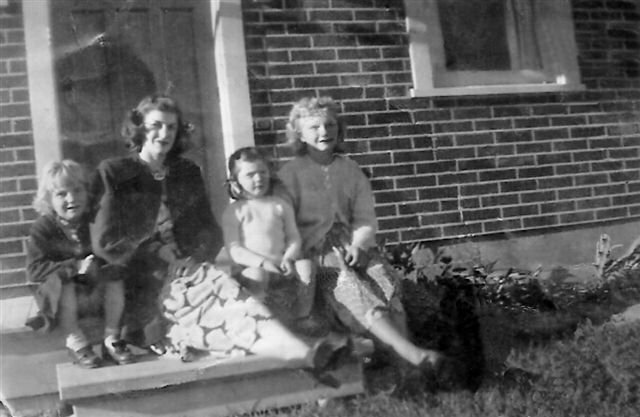 The photo below includes Helen Guilbeault / Guibeault (not sure if spelling is correct) - second from left. 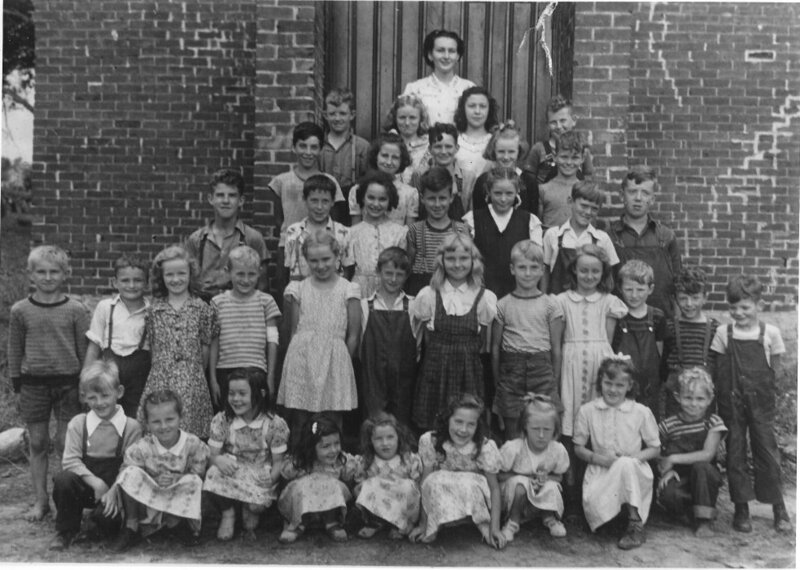 I thought maybe she is the missing Guilbeault girl in the class photo in the link above. them to you?? One never knows who you might recognize.